Hi. I’m S J. I’m from Perth, the capital of Western Australia, and I like quolls. Past freelance and professional work includes fictional language construction, voice acting, 3D animation, composing music (including full soundtracks), cartoon illustration and 3D modelling. Other hobbies include learning languages, writing fantasy fiction, modular synthesisers, open source software and photographing my country’s lesser-known beasts. That’s enough about me. Let’s talk about the blog. For a good few years this was a creative journal so you can read about me almost making a short movie for a few years. It turns out you can’t learn to make an animated movie by making an animated movie. Lesson learned! There’s a lot of stuff about modular synthesisers from 2017-2018 when I caught a vicious case of Eurorack-osis. I called my modular synth DASYRAC after the dasyurid maruspial group, many of which are quolls. 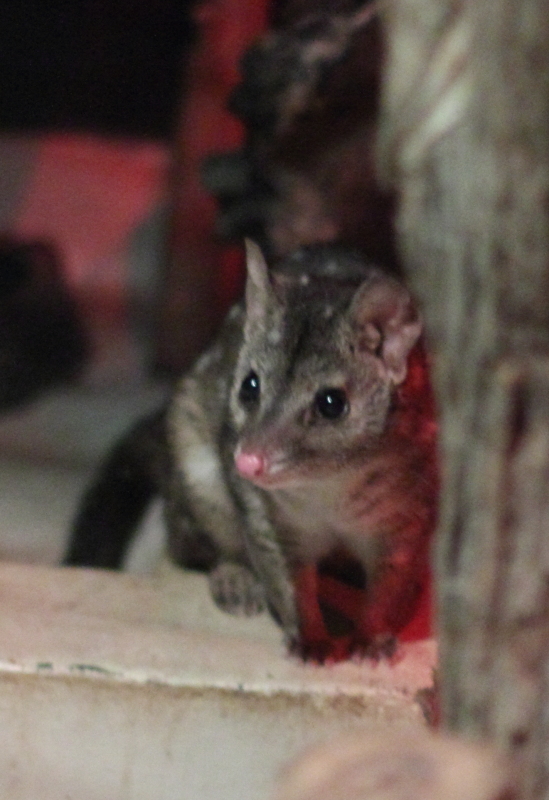 I like quolls. Other blog posts include whatever else I’m into at the time, including languages, Blender, programming, silent movies, etc. As of 2019, I’m learning Japanese. If you’ve never seen a silent movie before, go watch Buster Keaton’s 23 minute short The Goat.